The real-estate market for office buildings is not an easy business, especially where rental properties are concerned. Office buildings that are getting on in years run the risk of falling vacant because they no longer meet companies’ needs for workspaces. To make things worse, quite often these premises do not lend themselves to flexible use, outdated building technical facilities and services spell less-than-perfect working conditions or the building’s overall look-and-feel has long since lost its contemporary appeal. On the other hand, we see office high-rises going up that look just like their predecessors. Prompting the question what actually sets these new builds apart from their elder cousins designed to cater to a wide range of different users while still meeting a whole host of expectations and requirements – ideally for a service life of more than 20 years. With their makeover of “200 Gray’s Inn”, which Lord Norman Forster built in 1989, Great Portland Estates (GPE) have impressively demonstrated how somewhat outdated properties can be given a new lease of life for a new generation of tenants. Together with architect Ian McArdle GPE stripped the building of components typically en-vogue at the time of construction to reveal the architecture proper concealed behind. 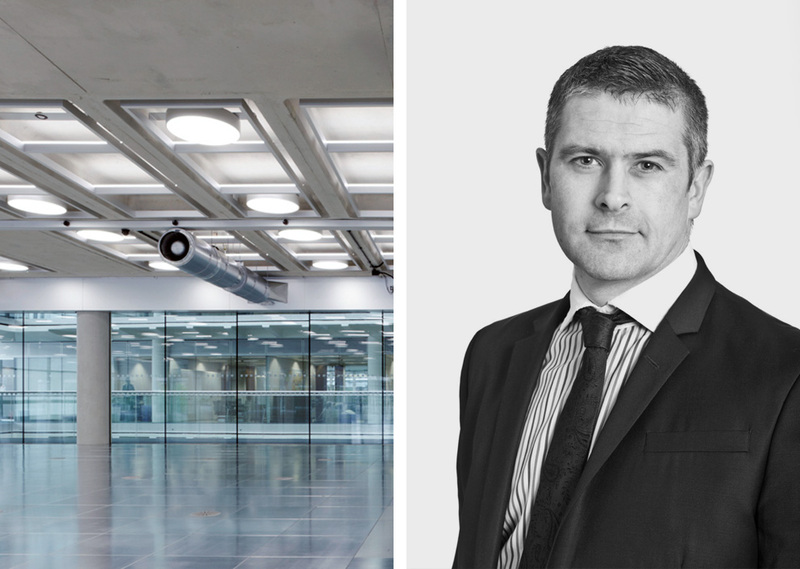 We asked Ian Cartwright, Project Manager at GPE, why in addition to bright and open offices, showers and cafeterias are high up on the tenants’ wish list and how much control you can delegate to them. Walking through the City of London, it seems that really nothing has changed in the real estate market for office buildings. Is that a false impression? Ian Cartwright: As the banking sector turned away from searching for new office accommodation in the wake of the recent economic downturn, in our experience technology and media companies, to an extent, took up some of this demand. Working with this type of tenant has led to a different experience where such occupiers have brought forward a very different approach in terms of their appetite for space and what exactly they require from the accommodation they let and the buildings they inhabit. As a business we have found in recent years that prospective tenants’ expectations have increased and their attention has moved beyond merely their requirements for the accommodation being offered for let. Such enquiries consider for example the extent of ancillary facilities, which we have observed can add further attraction, such as experienced with on site secure cycle parking. Cycling provisions became a very prominent facet in terms of tenant enquiries and were not too long ago considered as a ‘nice to have’. Now, however such facilities are considered a prerequisite for every new scheme we put together, whether a new build, development or where refurbishing existing assets. 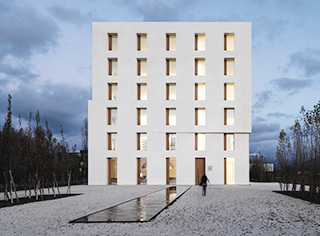 Beyond occupational densities, and an understanding of what the tenant is going to use the accommodation for, we try to build in flexibility which for example allows the tenant to cellularise their space to suit their own needs and perhaps splitting a floor plate into smaller units. However we have also begun to consider ancillary areas of the property where perhaps tenants want somewhere to go and say have a quiet moment within the building, or where they can perhaps eat lunch or take their clients; where they can interact and be proud of the space in which they reside. What are the differences between technology and media companies and “classic” businesses? Ian Cartwright: There has in recent years been a clear emergence of technology and media businesses coming to London such as Google. This is having an impact across the capital, where there is evidence of a different type of occupier and ultimately a different type of user, who perhaps doesn’t occupy the building from the standard nine to five. These businesses often operate outside of this paradigm. A particular tenant we worked with recently operated in a business sector that works in post-production media for cinema and television. This business has a particular employee dynamic, which identifies and behaves differently to say a mature corporate entity. Also this type of tenant has a different demographic in terms of the people they employ with clear skills, and who in turn have alternative priorities in what their employer’s mean to them, its culture and what they expect from the accommodation in which they work. One of your properties is 200 Gray’s Inn Road, built by Sir Norman Foster. Did you change the architecture during the renovation? Ian Cartwright: It was an iconic building and some of the excellent decisions Foster + Partners made in the design still hold true to this day and look fantastic. 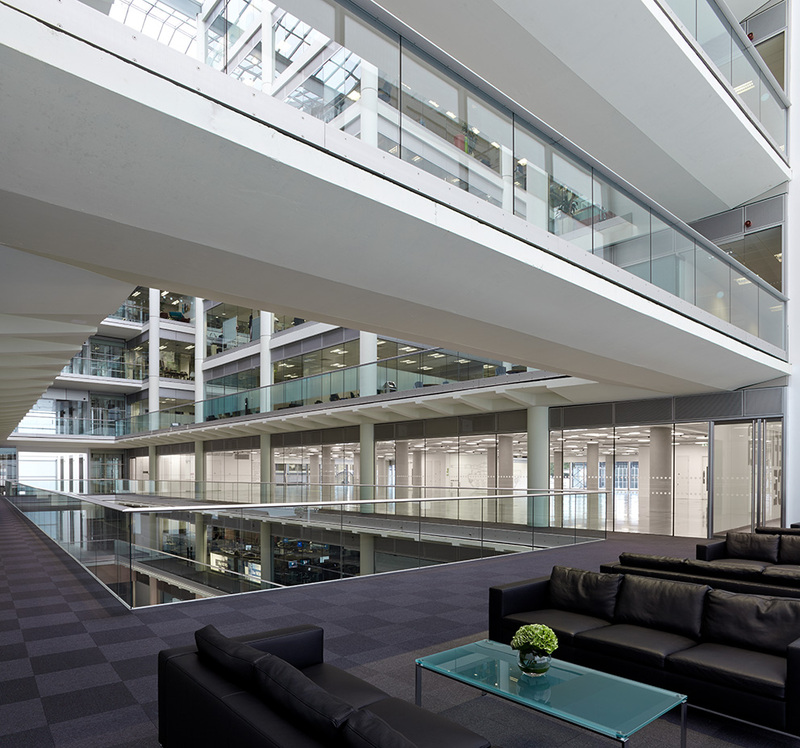 It is an important building for us, because it provided an opportunity to reposition the asset through the use of good design ideas which showed off the best features of the original scheme. 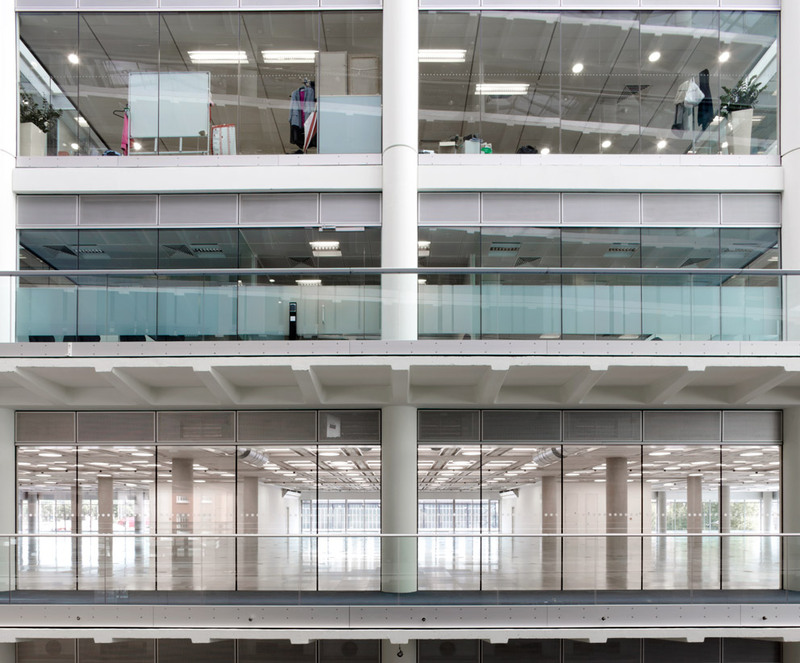 Originally the office accommodation comprised a generous raised access floor, suspended ceiling systems and integrated lighting with concealing air conditioning system. This is a well understood and popular solution with obvious benefits. However we felt the building, and in particular the accommodation, required a bit of a refresh. We were fortunate in that we developed an understanding of the building and the way it was constructed originally, allowing us to take advantage and draw on these elements. For example the originally formed coffered ceiling arrangement. It was something that we hadn’t really appreciated when acquiring the property originally. 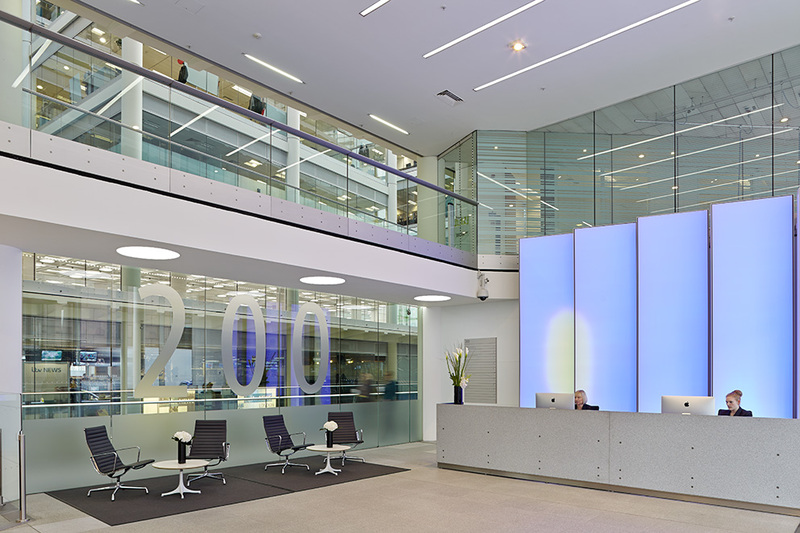 However having stripped out the offices following expiry of the first lease, it became apparent that this was a great opportunity to show off this rather elegant and a very honest architectural feature at the same time creating a sense of volume and space. A lot of technology and media companies moved into the building. Is it because they like the relatively raw spaces? Ian Cartwright: Well, they may come with a list of general expectations: How much space do I need as a business, where in London do I want to be and does that space fit our brand position and functionality? We are unique such that we have come to appreciate from our tenants, where we are both Landlord and Developer, that their staff is the number-one priority for tenants and to keep their staff happy and motivated a business needs to think carefully about where they going to be located within a certain area and what key elements will attract them to their business keep them motivated and help them be successful. So, our focus is on the building itself, the image of the building, the space and all the features you add, such as cycling provisions, shower facilities, communal areas to meet people and interact, a cafeteria, and so on. 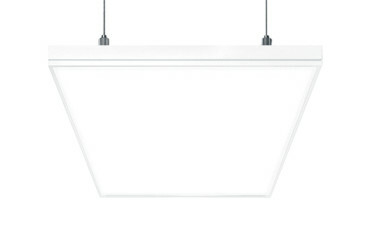 Zumtobel Lighting is listed on your website as one of your USPs. 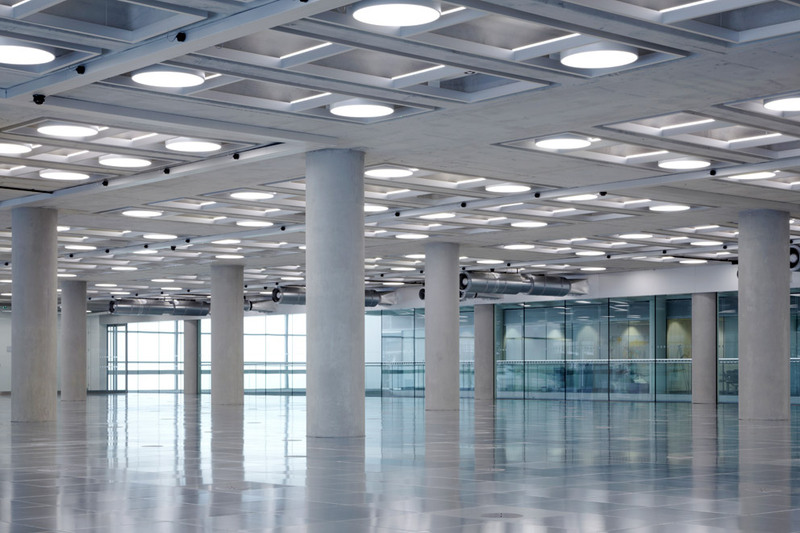 How important are technical features such as lighting for your tenants? 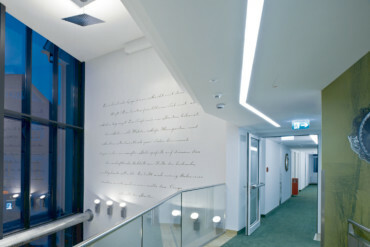 Ian Cartwright: The flexibility of the lighting solutions was quite interesting for us. 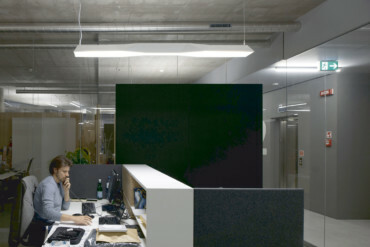 We modularized the space and, with Zumtobel lighting control, we included flexibility in terms of how you could manipulate the lighting in certain areas (zones). Normally, in a workspace you try to reach 400 lux. That is ok for some occupiers but not everyone. 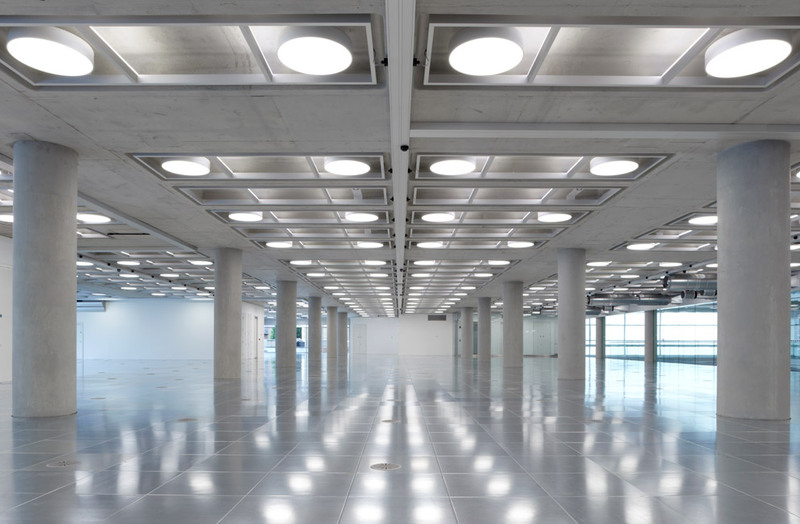 We therefore sought to optimize the levels of light provision to appeal to a wider audience and provide the tenant with an ability to manipulate the lighting levels in the space and of course within individual zones, with a maximum achieved at +800 lux. 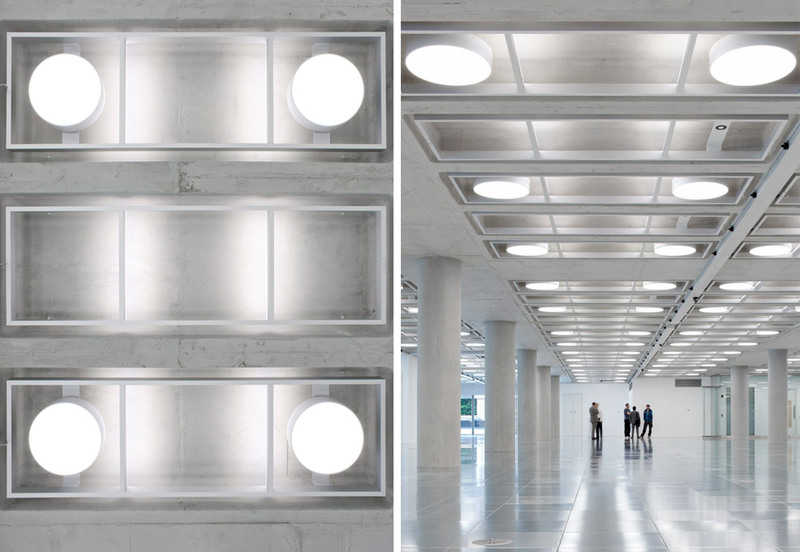 Another but rather important feature of the new lighting system introduced with the help of Zumtobel was that it shows off the original exposed coffered ceiling rather well. So a) it had to be functional and b) it had to show off the existing beautiful architectural construction, which plays a major role in the appeal of this space. Tenants can control their lighting with their smartphones and tablets – is that just something that ‘techie’ people like to use? Ian Cartwright: My own view with office environments is: the more control you give up and transfer to the tenant, moving away from complex centralized systems, the better it is for tenants, because they have a sense of ownership and they can manipulate their own environment without reference to the Landlord. I think that within reason, the more control that you give up in favour of the tenant, such as being able to control the lighting, heating and cooling, the better the space performs for all concerned. Indeed if you look at facilities management, the office layout, your arrangement of the floor and where people and business functions are situated may well be suitable now but may not benefit the businesses in six months or six years’ time say. 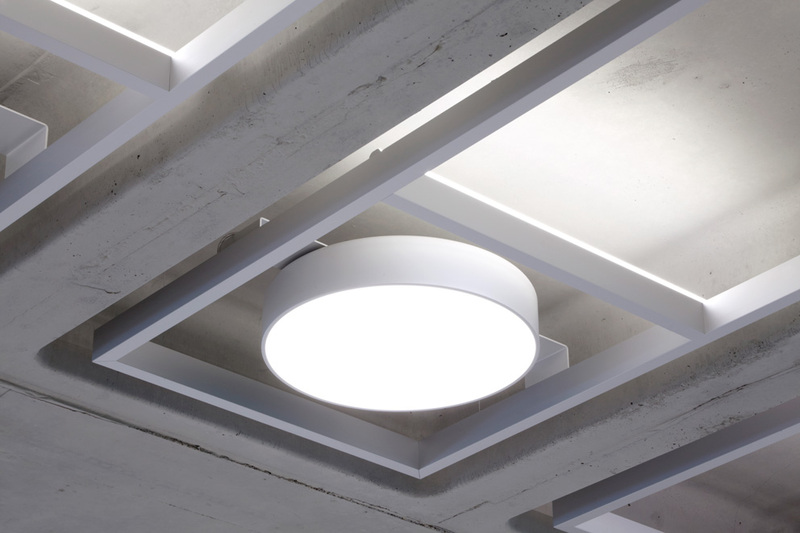 So isn’t it better to have included within the design an element of inherent flexibility in say how the lighting solution works and can be changed in response to the occupier’s changing requirements? This way we can help occupiers not just consider the now but the future needs of their business and how the space may adapt and change accordingly. Therefore the more flexibility you can build into the space and its infrastructure (as office space) and the more control it provides over the internal environment, the better. With regard to the work in refurbishing space at 200 Gray’s Inn Road, the ladders whilst appear fixed, however you could take out one of the light fittings and put in a different one say where introducing a different function on the floor without changing the whole dynamic. We would however hope the solution provided initially provides greater flexibility and can be further adjusted to manipulate the lighting levels without doing this, which in turn reduces waste and cost. So, the lighting solution both benefits the marketing and increases the value of the property? Ian Cartwright: Well, the marketing is a difficult proposition to actually brand a space and set it apart from most other offices. We try to appeal to a very large audience and we don’t want to alienate anybody. Ten, fifteen years ago, people used to put carpet down. Nobody puts carpet down anymore. 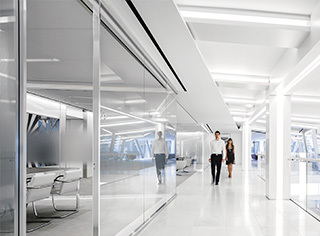 Now there are zinc-clad raised access data floors and white perimeter walls. So, the biggest chance that we have as landlords to really make a difference, beyond the design of the building and how it performs functionally, is to look at architecture and its ability to perform, the sense of arrival, from the entrance through reception, into the lifts, the things that people see on their journey through the building to their office every day. 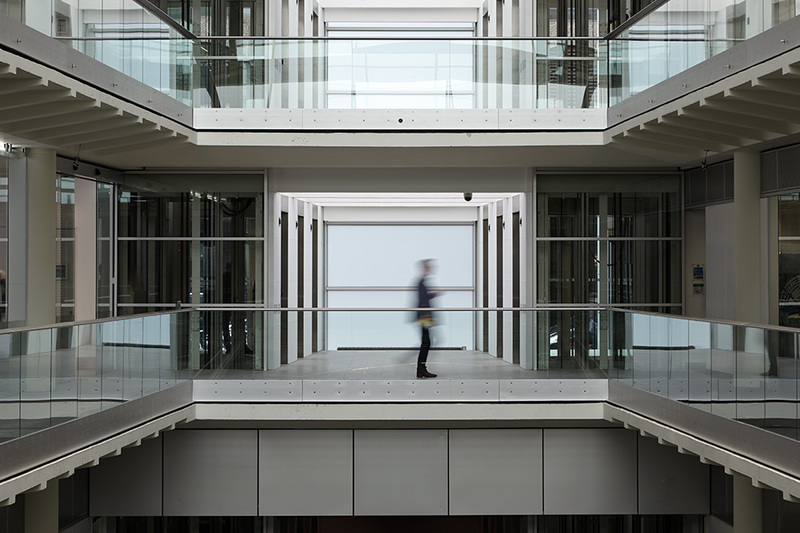 It is the sense of occassion and opportunity to really create a positive impression as you walk through the building that is a point of focus. Questions that occupiers are I expect faced with are do we buy into the property such that it appeals to us, our staff, our customers, will it adapt as we do, and do I feel inspired by this? All the little tactile things that people engage with every day, like the ironmongery, switches, the elevators buttons, give us an opportunity to make a statement, however small and show off a bit of detail, a bit of class. And what is your personal perfect working environment? Ian Cartwright: I think the location has got to be London, because it’s a great place and a great city. You get the opportunity to interact with a large array of people, share experiences and ideas, which, helps the city evolve and stay relevant. Whilst the advance of technology is to be embraced and works towards improving our lives, in my view you cannot beat face-to-face meetings. 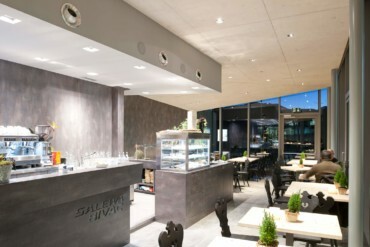 In addition the building in which you work needs to be handsome, have a sense of purpose and elegance. And lastly, whether it’s a country barn or a modern office building, the architecture needs to be inspiring. 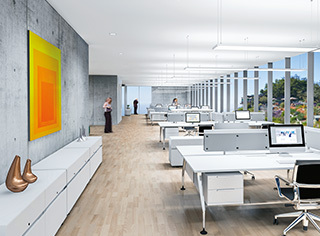 Biologically effective light brings dynamics into the office and makes work easier.